Learn how to remove the CryptoLocker virus from your computer, as well as minimize the potential damage the ransomware may cause to your files. The CryptoLocker virus is one of the most notorious ransomware to ever hit our world in recent times. This malicious program was initially discovered in 2013 and it took almost a year before researchers and security experts were able to shut it down. But even though many expected this virus to be dead, various versions of it are still being distributed today by online criminals. If you know that your computer has been infected, it is imperative to get it fixed as soon as possible. 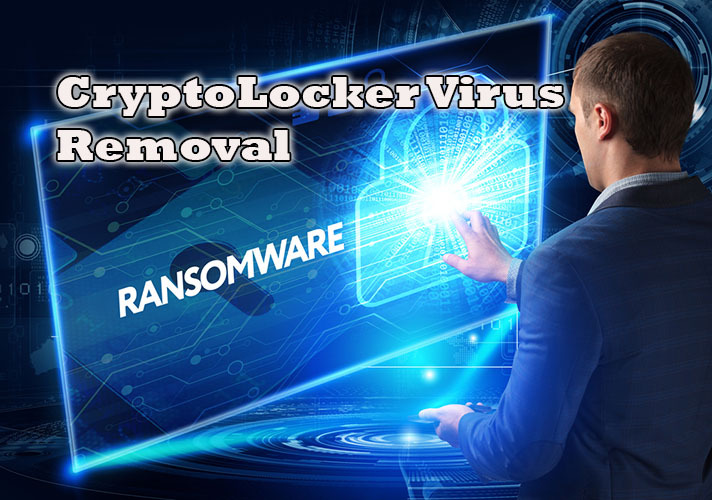 But before you take steps to remove CryptoLocker virus, it is necessary to also understand how it works. This information will help you prevent getting infected with this virus in the future. This virus infiltrates your computer typically through email messages. If you see any suspicious emails with attachments, do not open them. The program can only enter your computer if you open the email and its contents. If the virus somehow manages to get into a PC, it starts encrypting files and displays a ransom note. It utilizes RSA public key cryptography for encryption purposes. Your files can then be decrypted only if a certain ransom is paid to the attacker. Most attackers will ask for cryptocurrency payments such as Bitcoin to maintain anonymity. On the bright side, the malware cannot affect users who have backups of their files. It’s crucial that you make copies of all your important files, especially in today’s age of constant ransomware attacks. 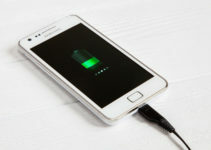 This way, even if your device becomes infected, the attacker won’t have any leverage on you. In such a scenario, you don’t have to worry about the threat of the encryption key being destroyed, as you already have copies of your files. Then you can simply remove the virus and copy back the files onto your system. So if you don’t own any backup devices, such as an external hard disk or a USB device, now is the time to get them. When your PC starts again, press F8 repeatedly to access the Advanced Boot Options window. Click on the Power button from the login screen. Then press and hold the Shift button on your keyboard and select Restart. Then click on Troubleshoot->Advanced Options->Startup Settings->Restart. Once your PC starts again, you will see the Startup Settings window. Select Enable Safe Mode with Networking. Now log in to your account on the PC and open up your browser. Search for an effective anti-spyware program. Make sure that the program you download is legitimate. It would be wise to do some research by exploring a few trusted review sites before zeroing in on any particular program. Once you have found it, download and install. Then proceed by performing a thorough full system scan through the downloaded anti-spyware program to remove CryptoLocker virus from your PC. If the malware is preventing you from entering Safe Mode with Networking, you can try out a different method. Sometimes the CryptoLocker program might try to block your anti-virus program from scanning by making it crash. If so, then follow the following steps. Once your PC starts again, you will see the Startup Settings window. Select Enable Safe Mode with Command Prompt. In the Command Prompt window, type cd restore and then click enter on your keyboard. Then type rstrui.exe and click enter again. A new window will pop up. Click Next and then select the restore point prior to the infection by CryptoLocker and click Next. Select Yes to the start system restore message box. This will restore the system files and settings on your PC to a date prior to the CryptoLocker infection, which will allow you to perform anti-virus scans without any problems. 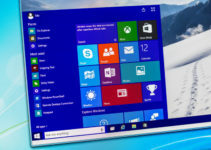 However, for this method to work you need to enable system restore points. It is very important to note that the original version of the CryptoLocker virus was shut down completely a couple of years ago. The various versions found today are merely extensions or weaker copies of it. There are also many fraudulent versions being distributed, so before you take steps to remove the CryptoLocker virus, make sure that it is authentic. 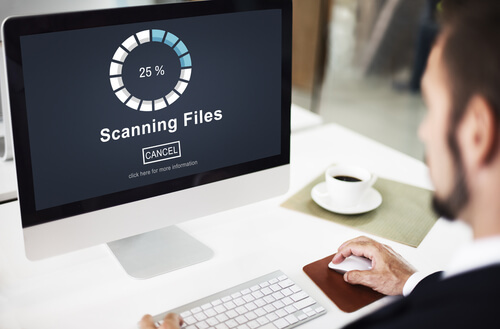 If you do a full system scan of your PC, you will be able to find out the name of the malware. Some viruses may display the ransom page, but they might not be a CryptoLocker virus. Online attackers do seem to like trolling people once in a while. If it is indeed the CryptoLocker virus, then you can take the steps mentioned above to remove it from your system. If by any chance you lost some of your files in this process due to not having them on backup, then you can download a good recovery software to fix that issue. You should research the best recovery software available today through trusted review sites. Above anything else, the most important thing you can do to prevent this situation from happening in the first place is to not click on any suspicious emails with attachments. Furthermore, backing up all of your data will also go a long way in ensuring that your private information cannot be compromised so easily.